Posture is more than how you look when sitting or standing. Good posture is the ideal spine alignment and body positioning that puts the least strain on the body. Good posture distribute weight evenly so that no one body part is stressed. Good posture reduces the stress on joints, protects the ligaments of the spine, and allows muscles to work efficiently to reduce fatigue. Bad posture puts abnormal stress on the spine and can cause premature spine arthritis and degenerative disc disease. A picture is worth a thousand words. A digital posture analysis provides important information about your posture habits. With this information we can identify areas to target your posture correction treatments for the best results. 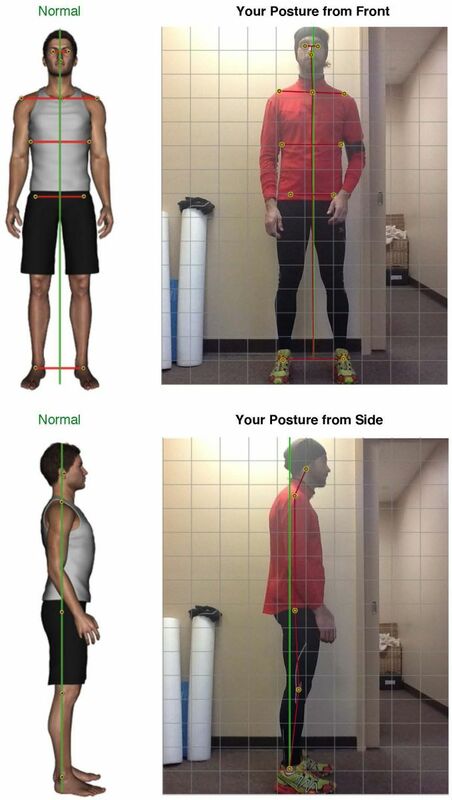 Several factors contribute to poor posture. Being aware of your posture and knowing the correct posture is the first step of posture correction. Chiropractic treatment, specific posture exercises and stretches will help reverse the effects of bad posture and train the body to maintain a healthier body position. Get started today by calling (212) 729-0856 to schedule a complimentary digital posture anlaysis.